The SIU Medicine General Surgery Residency Program is the 2017 American College of Surgeons' Surgical Jeopardy Competition champions. 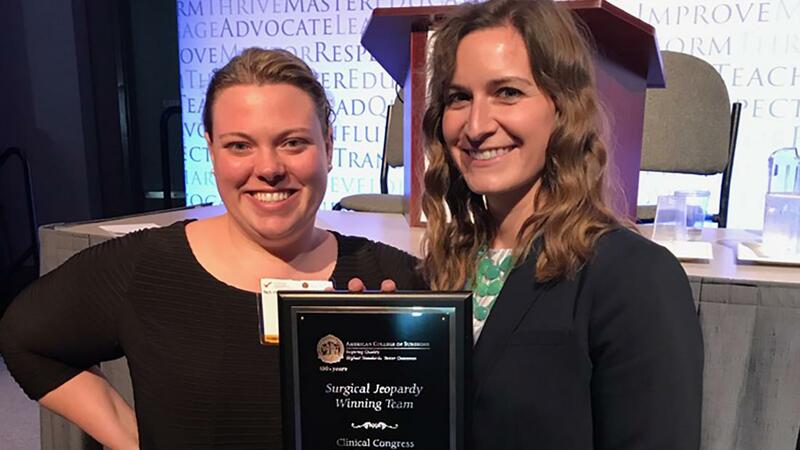 Chief Resident Susan Wetzel, MD, and second-year resident Sarah Fedeli, MD, led the team to victory on Wednesday, Oct. 25, at the Annual American College of Surgeons meeting in San Diego. Twenty-four teams from around the country competed in the competition.